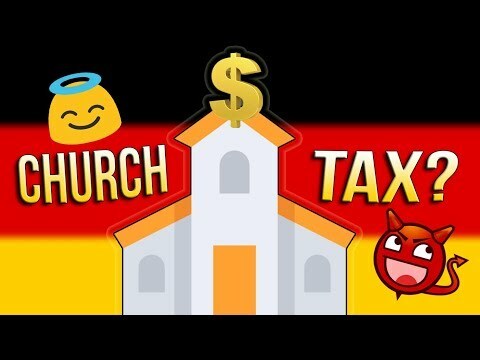 Germany’s Church Tax ⛪ Do ALL Germans PAY For Their Sins? Benjamin Franklin said there were only two things certain in life: death and taxes. In Germany this proves to be even more true. Not only pay all faithful and religious people in Deutschland their normal taxes but also the so called “Kirchensteuer” – the church tax. So do Germans pay with real hard cash for their entry into the heavenly kingdom? Get Germanized and find out! NEW VIDEOS EVERY WEDNESDAY, FRIDAY AND SUNDAY!